This is a radio controlled sailboat race. 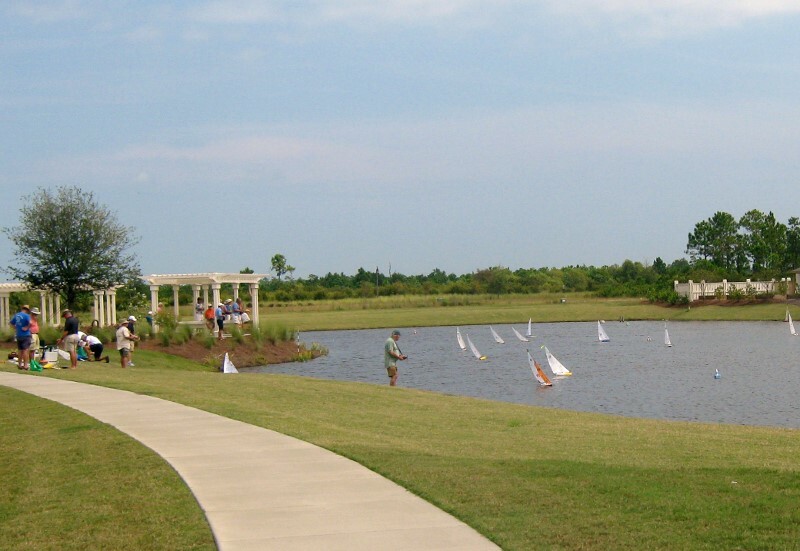 The course is set up on one of our ponds, close to the Seaside park. Looks like a lot of fun.